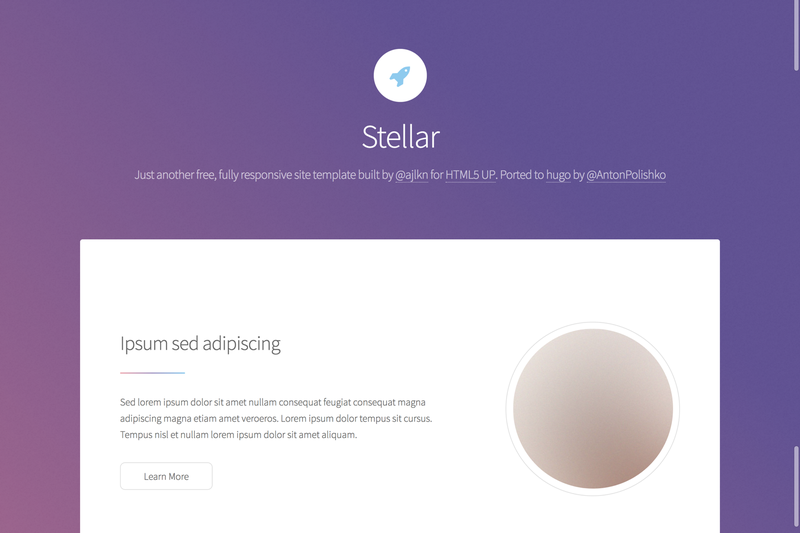 After installing the Hugo Stellar Theme it requires a just few more steps to get your site running. All icons are part of Fontawesome’s icon font. Look at the website of Fontawesome for more icons. The icons are represented by their corresponding CSS class of Fontawesome. Did you found a bug or got an idea for features? Feel free to use the issue tracker to let me know.